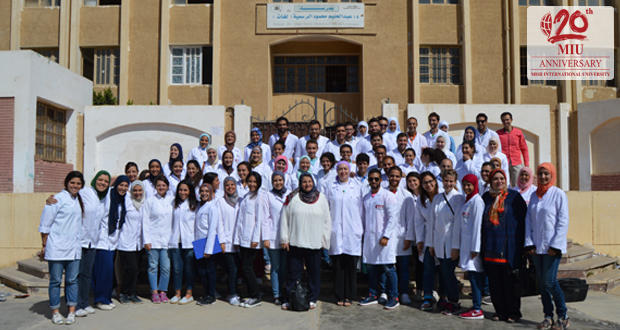 MIU repeats the successful application of last year’s Oral Diagnosis course for fourth year students outside the university. Group one of fourth year dental students conducted a fieldtrip to Dr. Abdel-Halim Mahmoud Language School at Badr City on Thursday October 13, 2016. 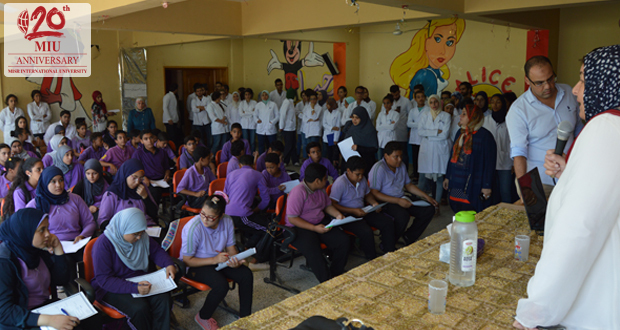 The fourth-year students presented oral and general hygiene awareness sessions in an interactive manner that engaged school students in the learning process. Free dental screening was conducted for (75) Preparatory school students, applying the concepts and skills taught through the oral diagnosis course. Interns extended the benefits to primary school children through the examination and evaluation of the oral health condition of children. All examined students were given cards denoting their oral health needs as well as educational materials, tooth brushes and toothpastes at the end of the visit. Participants filled in questionnaires regarding their oral health needs as well as evaluations of the activities conducted during the visit.